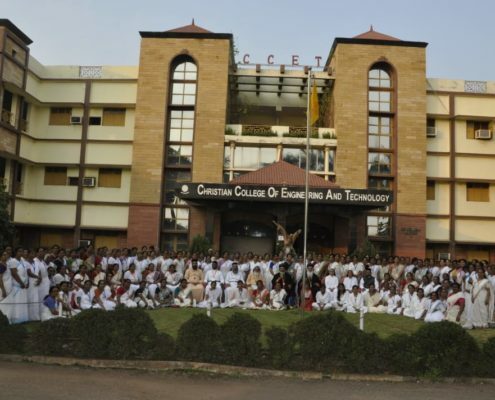 The 19th Annual Conference of Marth Mariam Vanitha Samajam, Calcutta Diocese was held at CCET (Diocesan & St. Thomas Mission Centre, Bhilai) from 5th-7th November 2018. About 155 delegates from our 17 parishes of the diocese attended the conference.The theme for the conference was “Pilgrimage to Christ” – Rev. 21:6-7. The leaders of the conference were H.G.Dr. Joseph Mar Dionysius (Metropolitan, Calcutta Diocese), H.G.Dr. 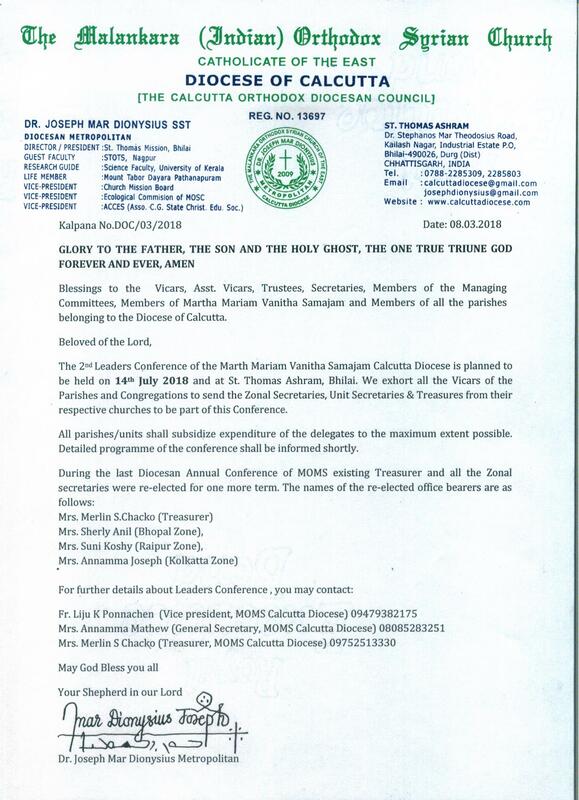 Mathews Mar Thimothios (Metropolitan, UK, Europe & Africa Dioceses), Rev. Fr. 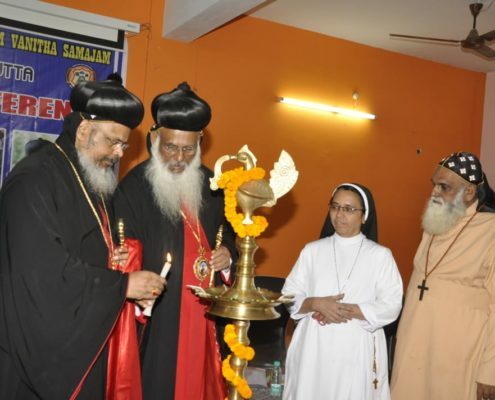 Jose K. Varghese (Secretary, St. Thomas Mission)), Rev. 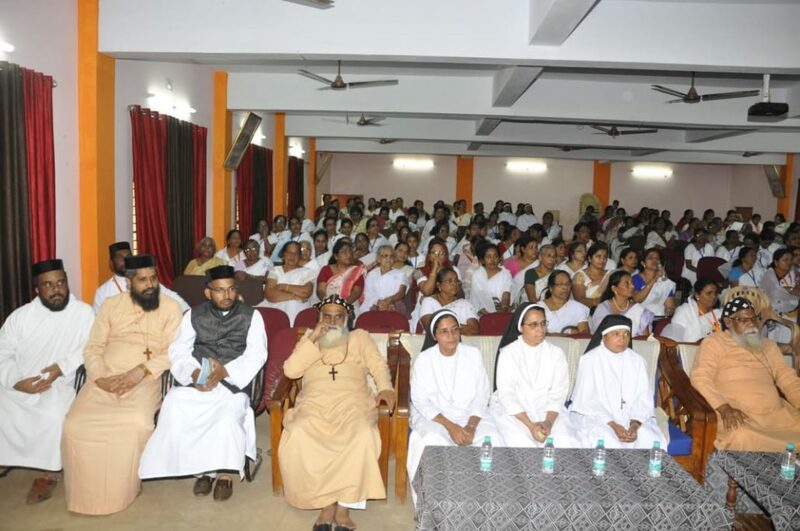 Fr Aju Varghese (Treasurer, St. Thomas Mission), Rev. Fr. 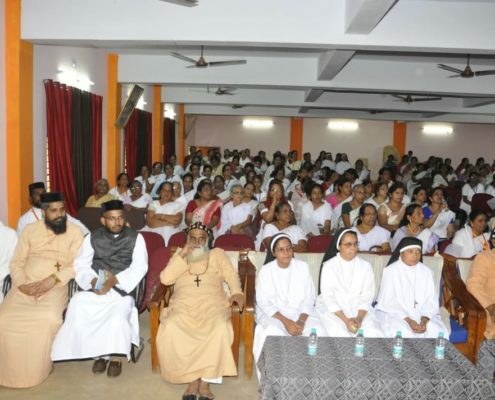 K. P. Geevarghese (Vice President, MOMS Calcutta Diocese), Mrs. Annamma Mathew (General Secretary, MOMS Calcutta Diocese) and Mrs. Merlin S Chacko (Treasurer, MOMS Calcutta Diocese).The Chief resource person for the conference was Sr. Suma CMC (Counsellor, Jagdalpur region).The conference was graced by the auspicious presence of V. Rev. 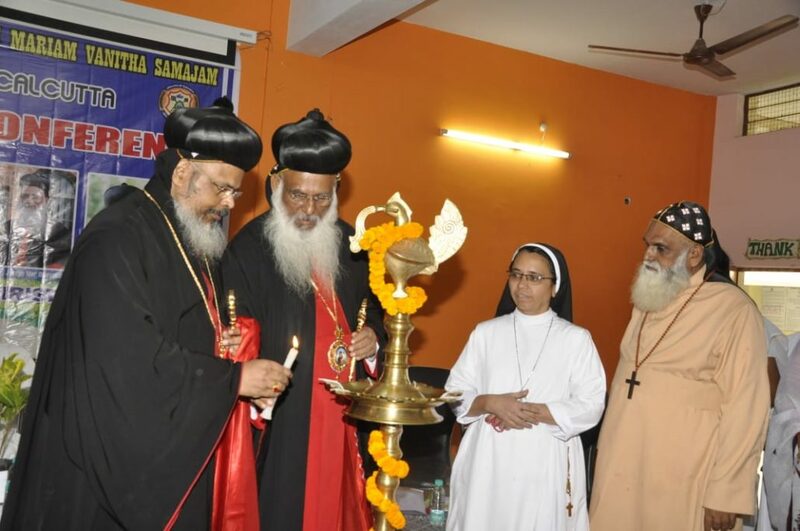 Geevarghese Ramban (Vice President, St. Thomas Mission), V. Rev. Thomas Ramban (Diocesan Secretary), Fr. Dr. Joshi Varghese, Fr. Geevarghese Varghese, Fr. M. J. Mathew, Fr. Shaji Joshua, Fr. Cijo Chacko, Fr. Biju Daniel, Fr. Shinu Cherian, Fr. Sajan & Rev. Sisters. President Thirumeni hoisted the flag as the beginning of the conference, followed by the inaugural session. H. G. Dr. Joseph Mar Dionysius presided over the meeting. The conference was inaugurated by H.G. 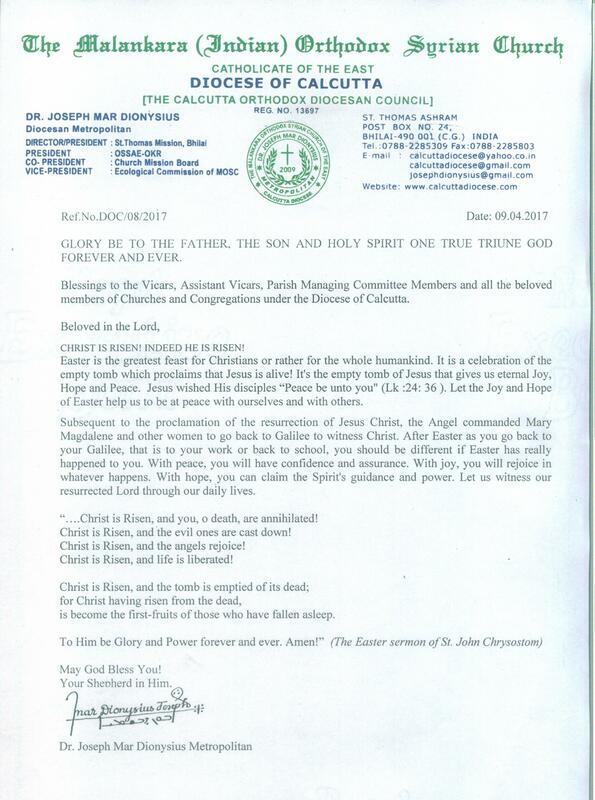 Dr. Mathews Mar Timothios.Diocesan Secretary V.Rev. Fr. Thomas Ramban welcomed all the dignitaries and the delegates.The session came to an end with a vote of thanks by Mrs. Annamma Mathew. The different aspects of the theme were explained by the resource person in 3 sessions. H.G. also took a class on Seven small Foxes. Meditations were led by Fr. Geevarghese Varghese and Fr. Dr. Joshi Varghese. Medical class was taken by Dr. Ruby Varghese, Bhilai. 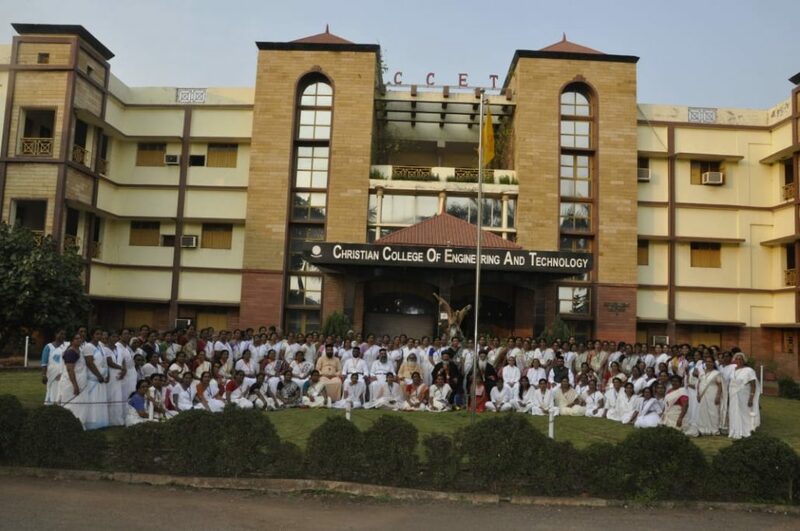 Inter unit arts competitions like elocution, group song, bible quiz & bible verses were held. All the winners were honoured by gifts and St. Thomas Cathedral, Bhopal bagged the ever rolling trophy with maximum points. In cultural night different units performed colourful programmes like skit, dances etc. On the final day, the holy qurbana was celebrated by H.G. Dr. Joseph Mar Dionysius. The business session was also conducted. All delegates above 70 years of age were honoured. Concluding session was presided by V. Rev. Geevarghese Ramban. Rev Fr. Jose K Varghese welcomed all dignitaries and delegates which was followed by Inaugural Address by H. G. Dr. Joseph Mar Dionysius. All the rank holders of MOMS Examination 2017 were honored with trophies. MOMS Annual Report 2017-18 was presented by Mrs. Anamma Mathew. Fr. K. P. Geevarghese proposed the vote of thanks. The conference concluded with prayer and benediction.